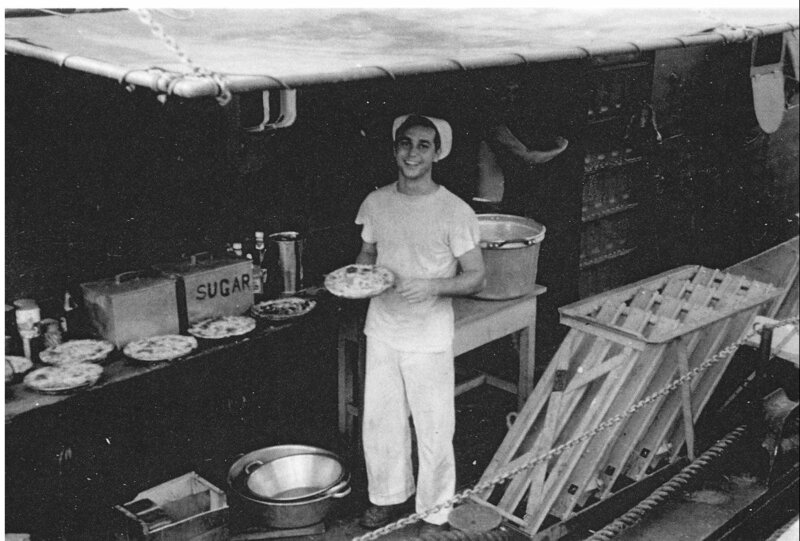 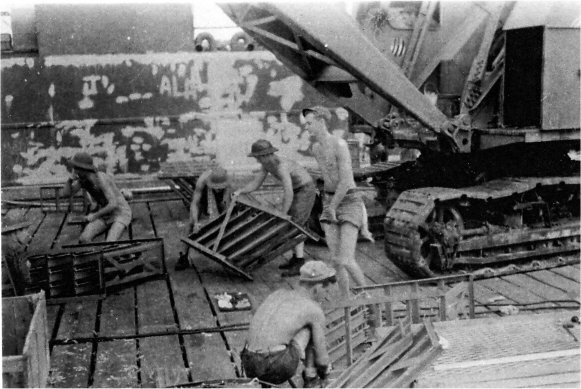 Laid down, 3 October 1942, at Brown Shipbuilding Co., Houston, TX. 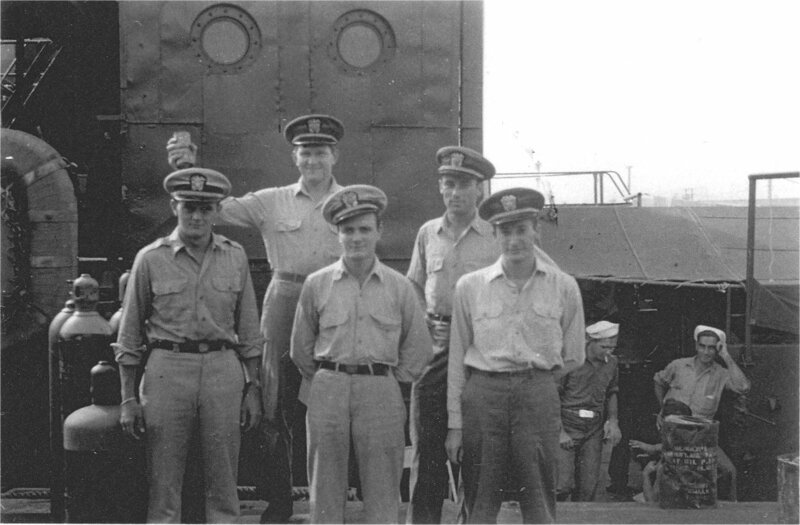 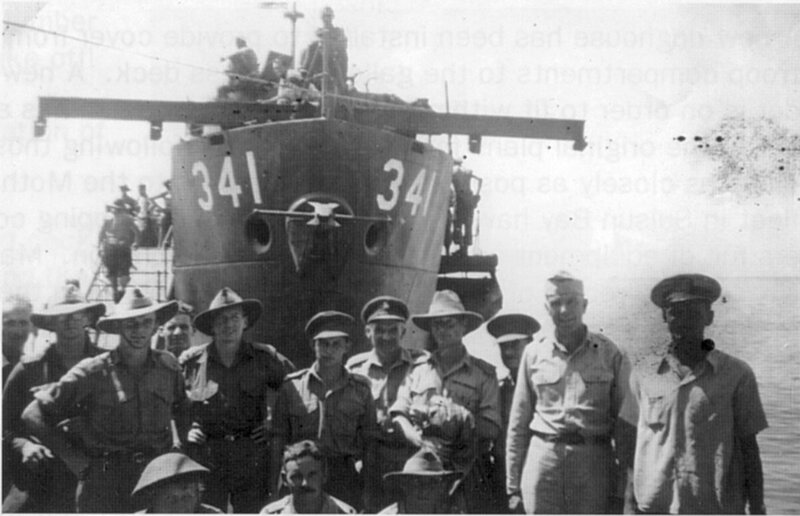 132k LTjg Robert Rolf, Skipper of USS LCI(L)-341, and another American officer (far right) pose with troops of the Australian 9th Division (called "The Rats of Tobruk" in Africa) at Buna, New Guinea 2 or 3 September 1943. 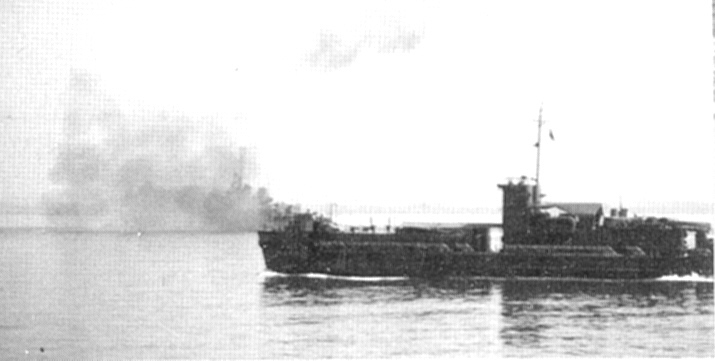 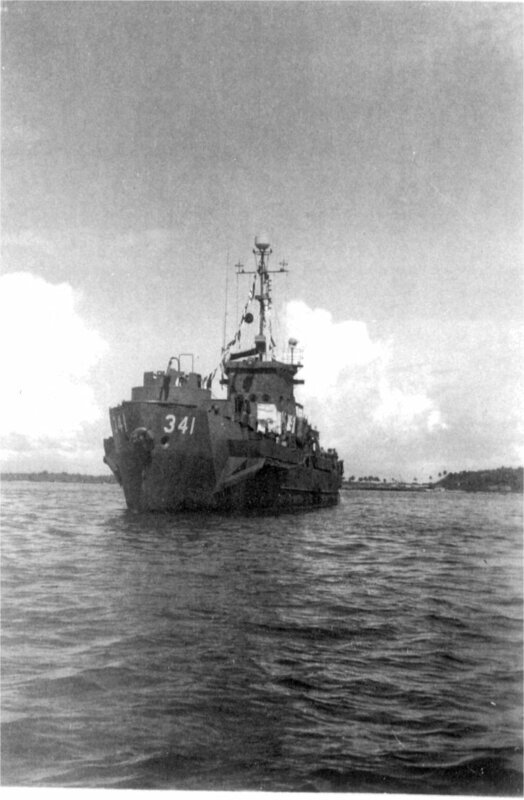 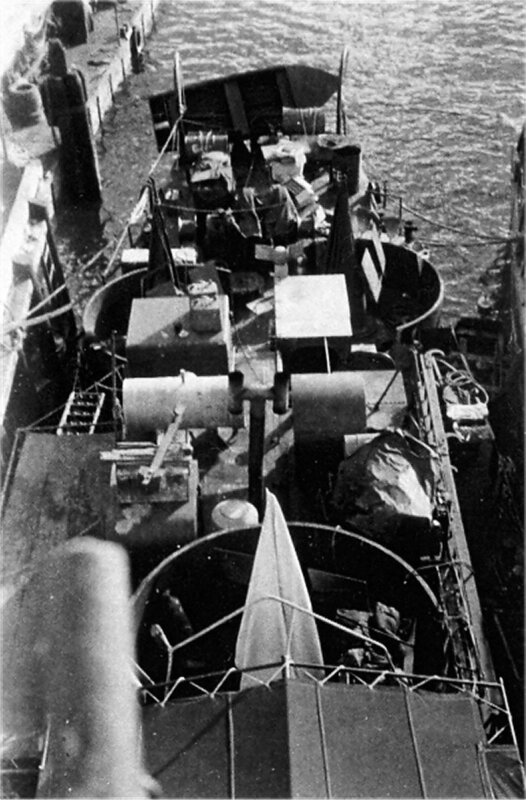 On 4 September 1943, as USS LCI(L)-341 approached the Lae, New Guinea landings with these troops, they were strafed by Japanese planes and took a direct hit from a bomb, killing many of the troops. 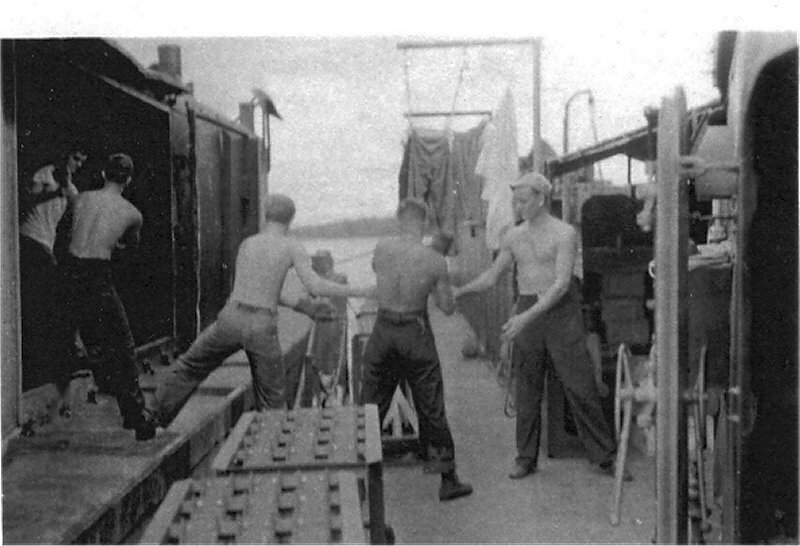 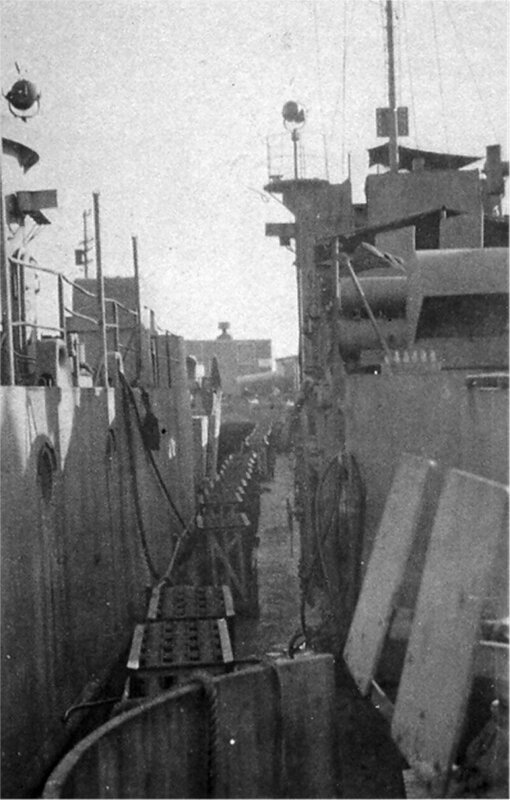 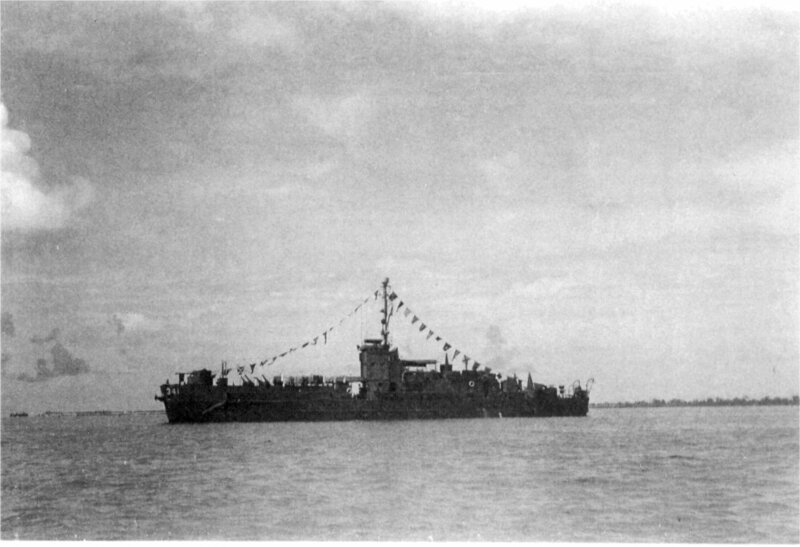 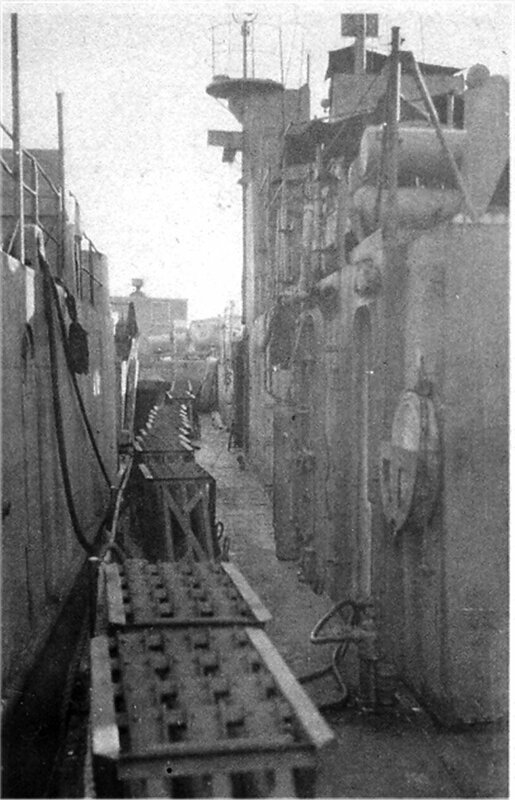 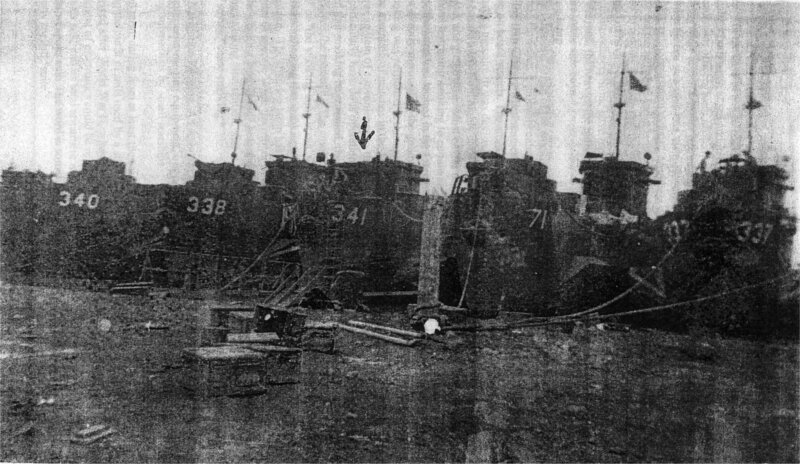 They were able to hit the beach and unload the remaining troops and crew, but LCI(L)-341 would be out of commission for the next 13 months.